Filipinos love to eat and Filipinos love variety. And that is why when the concept of foodparks got introduced in the Philippine market and started cropping all over Metro Manila in the past years, it was an instant hit. From local eats to international favorites, the very idea of having a multitude of palatable flavors and food choices was perfect for any hungry Juan. 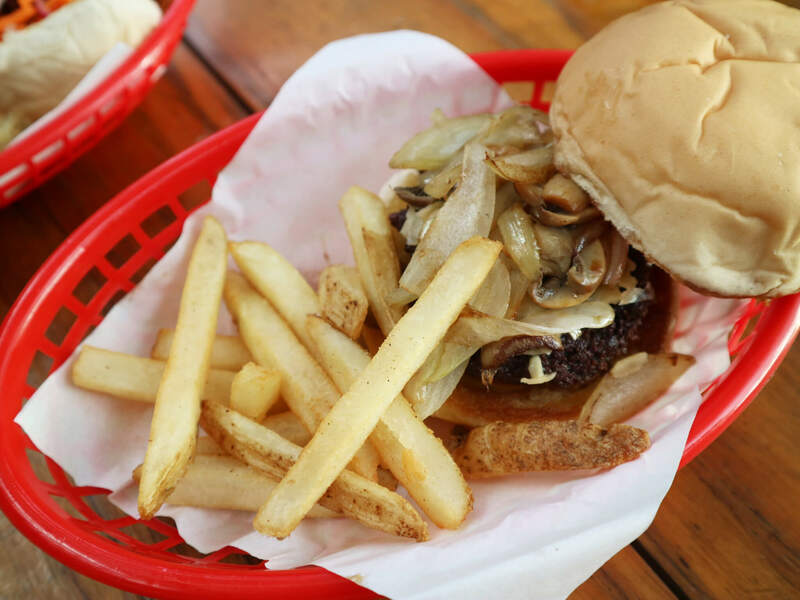 And finally, North Quezon City gets a share of the foodpark craze with The Food Hive. 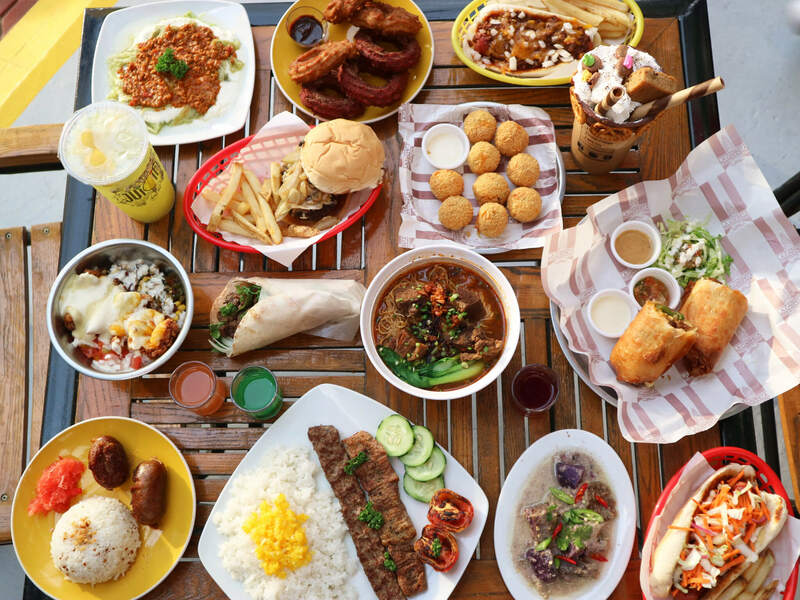 From crazy drinks to great barbecues, concocted by young award-winning chefs and promising first-time foodpreneurs, The Food Hive is definitely a foodpark that’s buzz-worthy of its name. A revamped version, The Food Hive 2.0 offers new and exciting flavors for all hungry Juans. 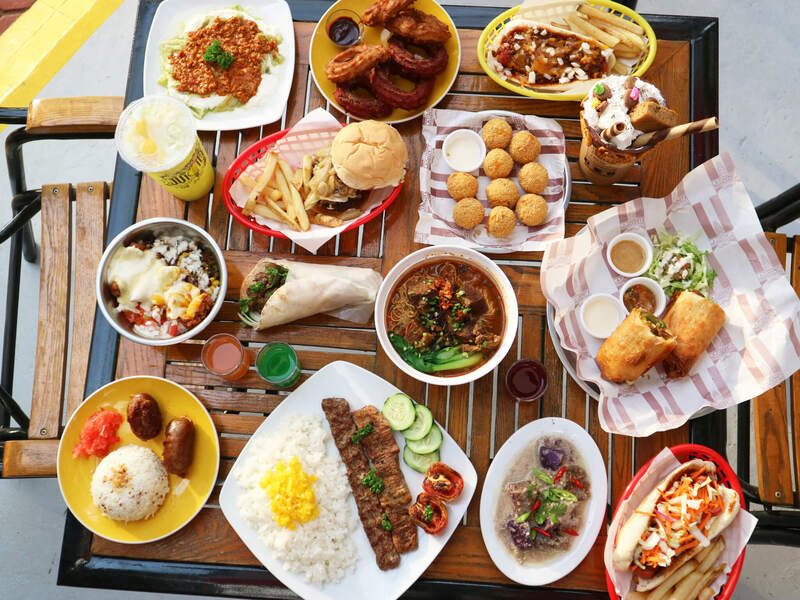 Owned by award-winning entrepreneur Reymond Choachuy, it’s a new and buzzing food park with a good mix of 14 stalls serving both local and international flavors. It’s located just along Visayas Avenue, Quezon City which I love since I’m literally just 5 minutes away (without traffic). Parking slots are limited though so best to come early! Aside from all the good food that this foodpark has, what I loved most is its playful and chill ambiance. 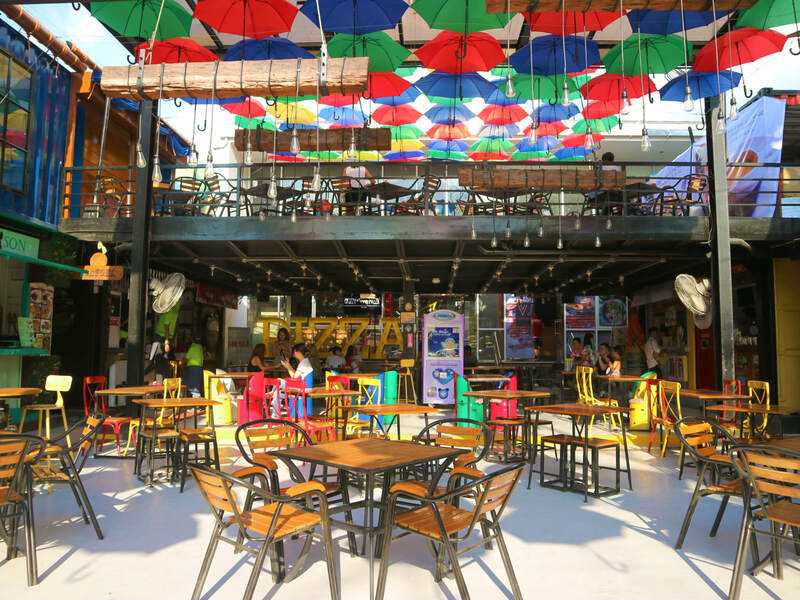 As with most foodparks, The Food Hive has an open-air setting, colorfully designed with upside down umbrellas and topped off with a loft-type structure that also houses more of its food stalls (airconditoned). At the far side of the complex, you’ll see a big and intriguing “PIZZA” sign for the soon-to-open Crazzy Mezzy Pizza joint. So you should definitely watch out for that! Our buzzing food fiesta that afternoon! Let’s start off with my favorites. Well I love anything grilled so Rey’s Rock and Roast was a clear winner. The stall serves a good variety of curated grilled items. 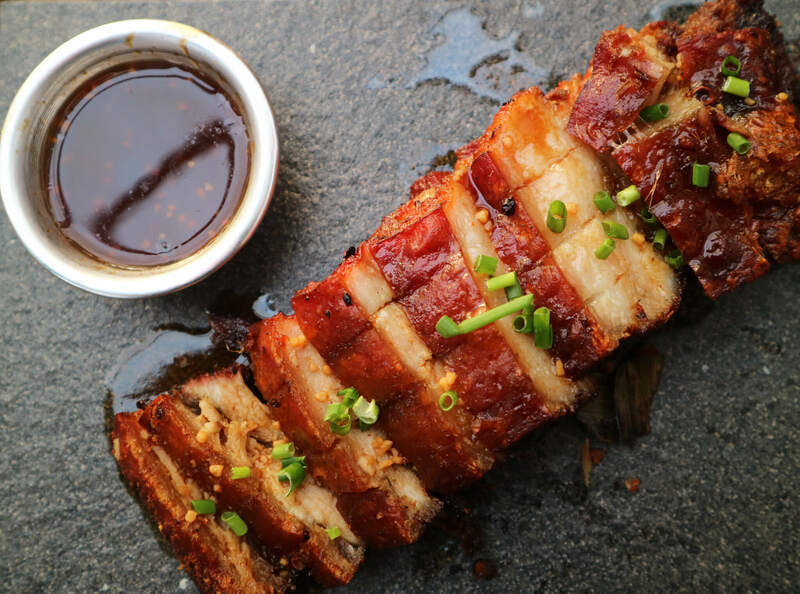 And their Rum Coke Pork Belly was the bomb! Well marinated meat, tender, good ratio of meat and fat, and crackling skin crunch. We also had the Lechon Laing and Roast Chicken with Tinola Rice. Famous for its Grilled Nachos ala Bomba, La Carnita offers traditional Mexican staples with a twist! 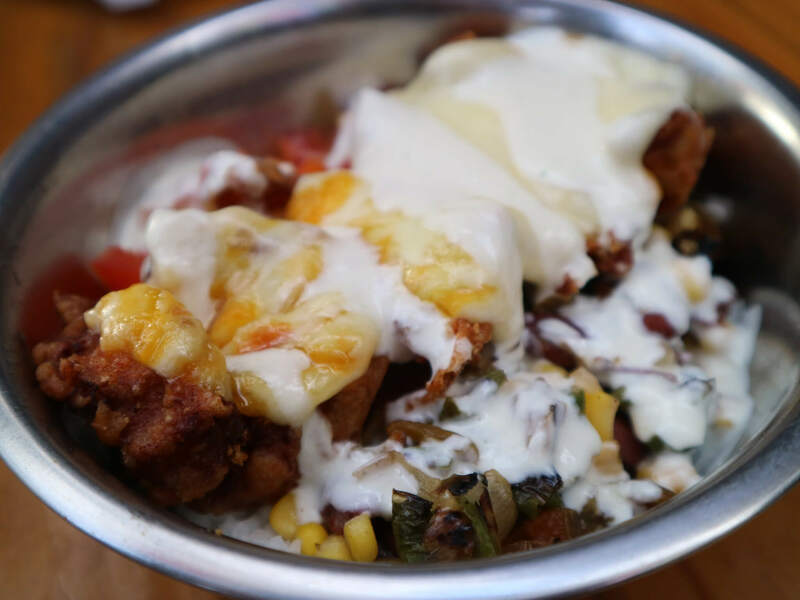 A plate good for 2 persons, La Carnita’s Grilled Nachos is a generous serving of big nacho chips, topped with a tasty mix of ground beef and fried beans and then served fresh with their own signature cheese sauce (while hot!). 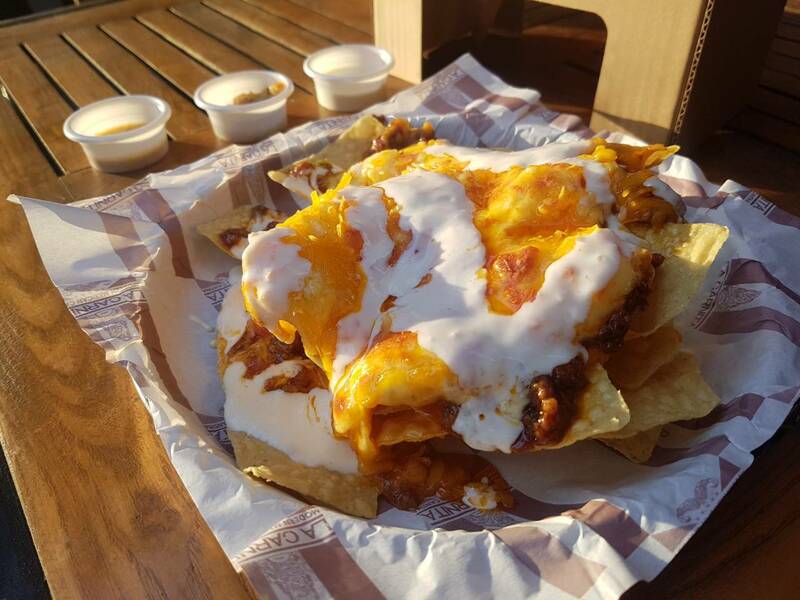 Savory, gooey, and oh-so cheesey! 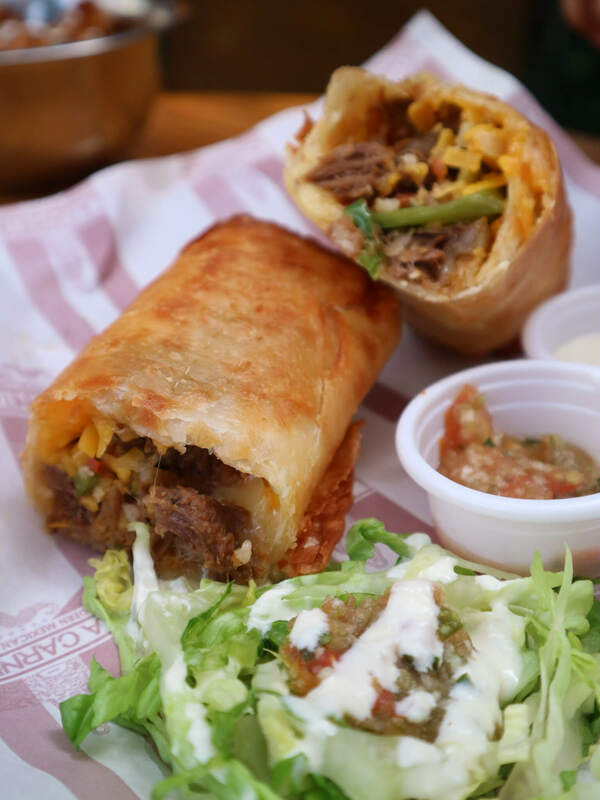 That afternoon, they also served us their other bestsellers like Chimichangas (PHP 190.00), Jalapeno Poppers (PHP 65.00, and Quezo Fundido con Crispy Pollo (PHP 159.00). 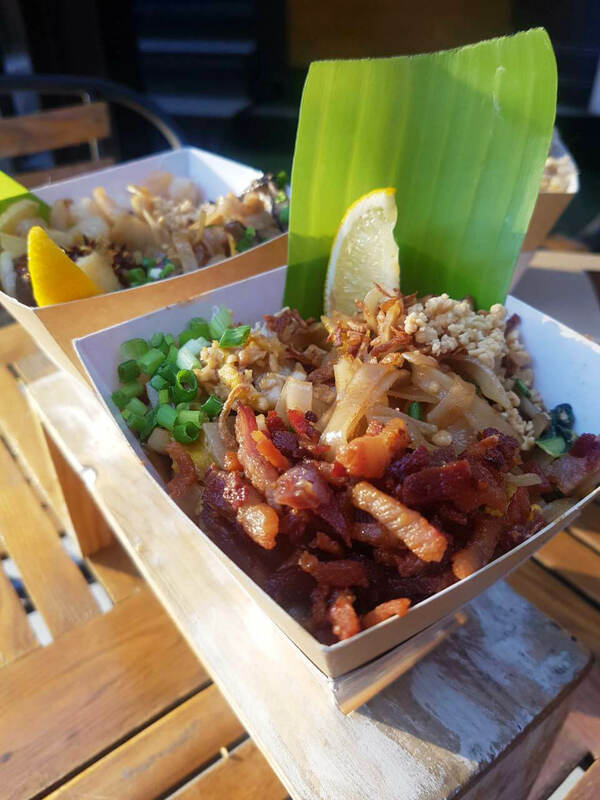 Who doesn’t love Pinoy food, right? It’s comforting, savory, and familiar to our taste. 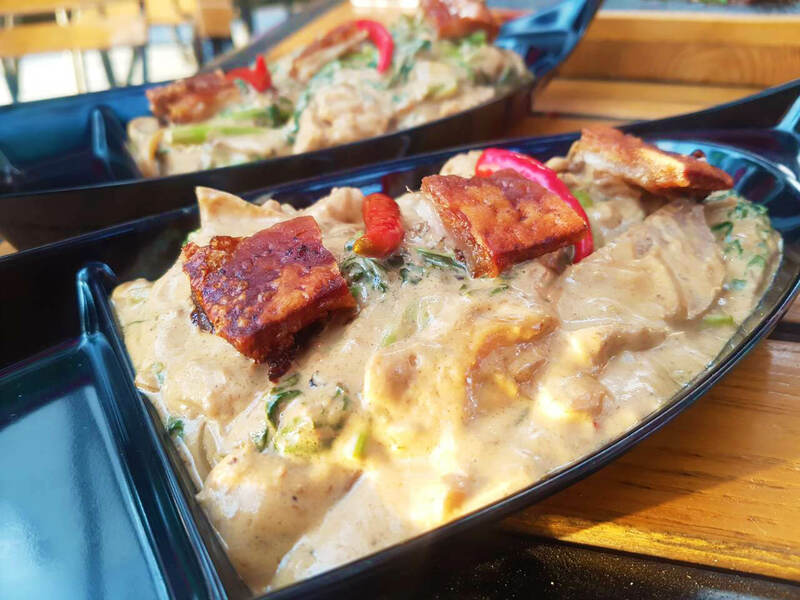 Tina and Son serves modern Pinoy Comfort Food, just like they were cooked at home, only 10x better! Loved how innovative they went with their Ginataang Baka with Ube (Php 170.00). It was tender and creamy, you certainly can’t skip rice on this one! We also had two Pinoy favorites, Beef Sarsi (like Lechon Paksiw at Php 150.00) and Cabanatuan Longsilog (Php 130.00). And if your palete is craving for something aromatic, go for the Mediterranean food choices at Habib Kebab House. One of the last ones to open shop last year, Habib served us their Special Beef Kebab (PHP 255.00), Beef Shawarma (PHP 135.00), and Keema with eggplant and bread (PHP 155.00). 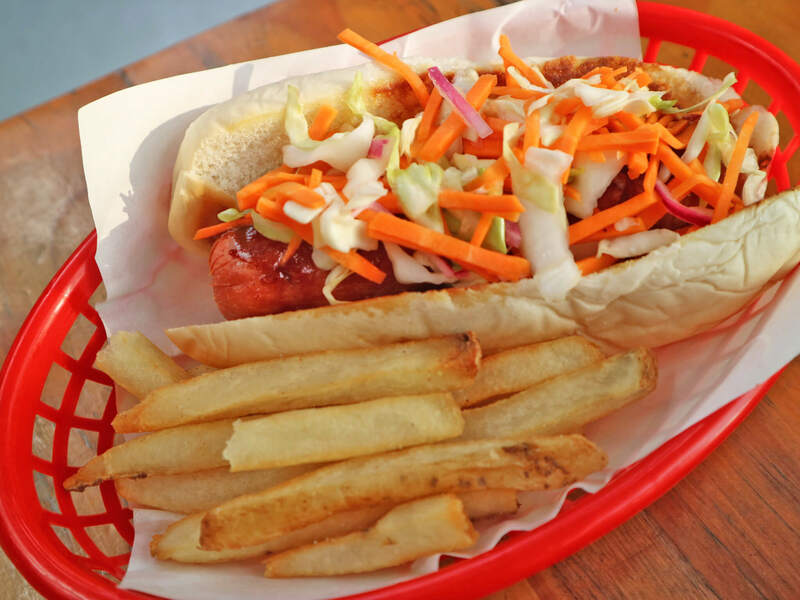 Craving for easy, comfort American eats? 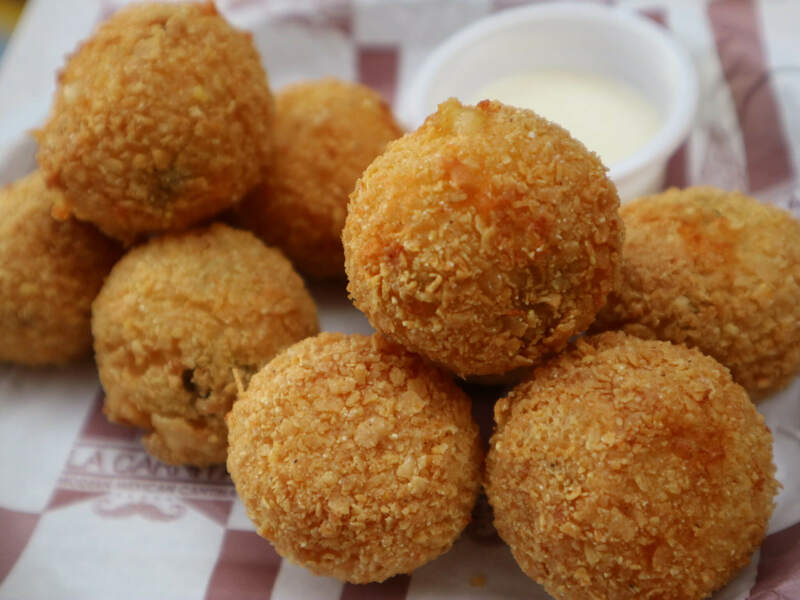 Try out the grub at Po Bo Potato Bomb. 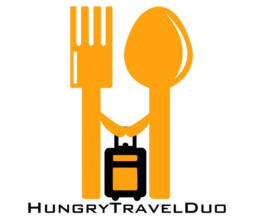 I enjoy easy-one-hand eats so I found their food quite enjoyable and perfect if you’re on the go. 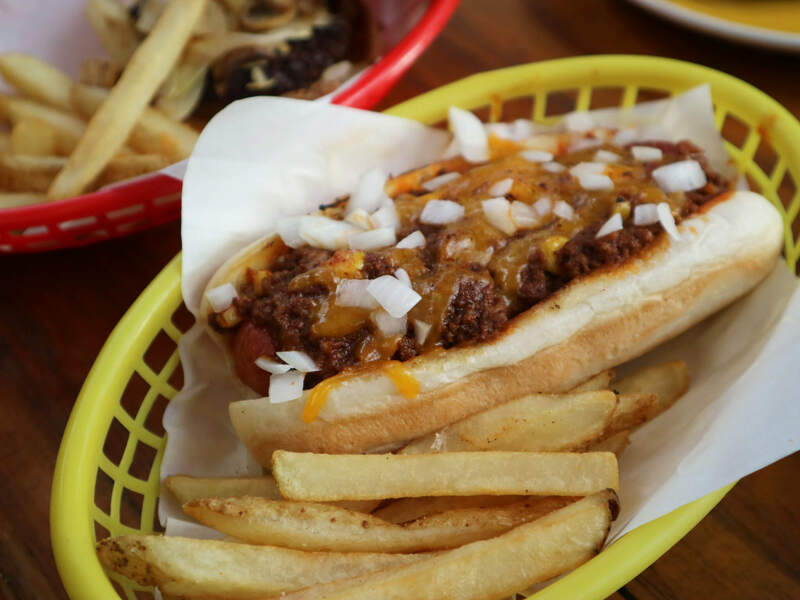 We had their sweet and spicy Honey Chipotle Dog (PHP 150.00), their juicy Umami Burger (PHP 150.00) and their Coney Island Dog (PHP 150.00) which was packed with loads of toppings. YUM! Love soup? Let’s make it hot with Spicy Guys that specializes in hot, tasty noodle soup. 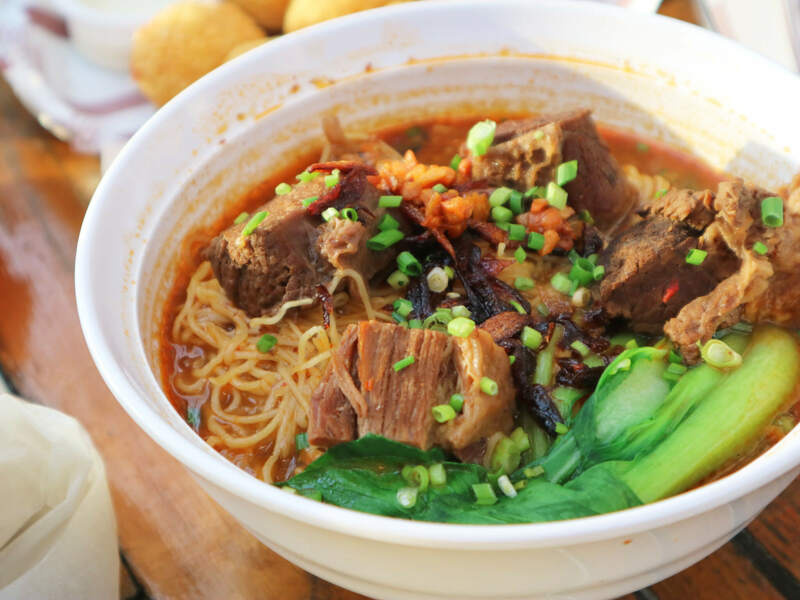 Customize your bowl with your choice of meat, broth, noodles and level of spice! Unfortunately, it was a hot afternoon that day so decided to skip it (which turned out to be a good thing). Blogger friend Chel got a Level 2 spice and it was a tad bit too spicy for her taste. I’ll try the joint next time! And last but definitely not the least, Pappare Ristoranti. Being a noodle lover, I appreciate that the foodpark dedicated a full stall for it. Owned by New-York trainer Chef Gem Tee, the Pappare Ristoranti’s unique noodle-in-cone concept definitely piqued my interest. We had three tasty spin-offs of Indonesian faves. First, we had the CRABonara (PHP 250.00) which is their best seller made of fresh crab claw meat, aligue, pappare bacon, egg, and topped with parmesan cheese. I found the flavor creamy and quite interesting. Next we had the Seafood Pad Thai (PHP 225.00) that’s made from fish cakes, shrimps, kale, eggs, mushroom, peanuts, and their secret Pad Thai sauce. 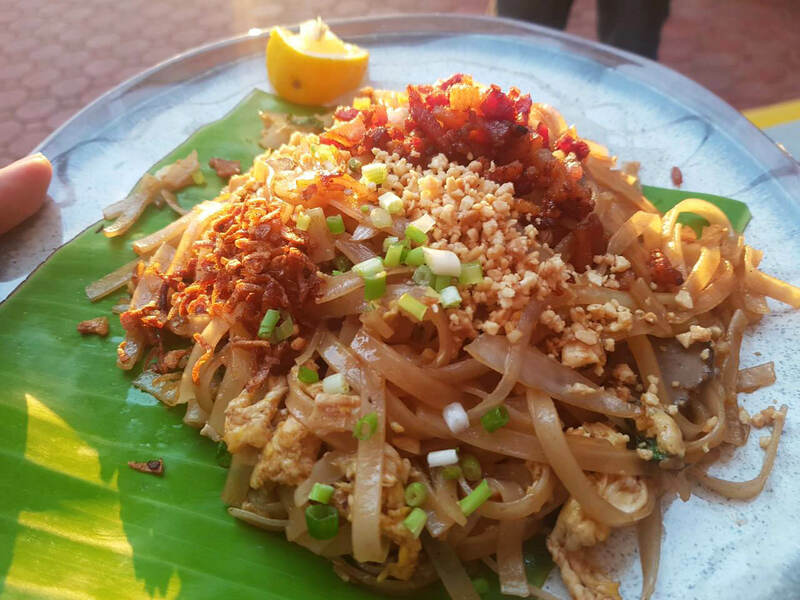 Personally, I liked Pappare’s Triple Bacon Pad Thai (PHP 200.00) best! Being partial to #BACON, this one’s made from Pappare bacon, egg, mushroom, kale, and peanuts. By now, you’re probably perched! 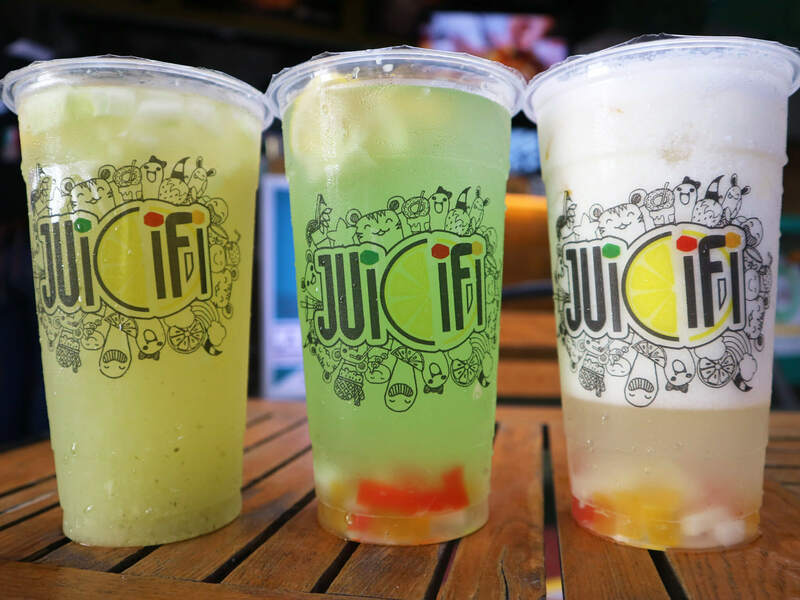 Flush down all the savory goodness with the sweet, jelly coolers from Juicifi. They have a couple of Lemonade and Fresh Brewed Tea options with chewy jelly/aloe-like bits to cool you down after! My fave! And finally dessert! Of course no feast is complete without sweet-enders. And that’s why we had to just turn to Mozafrio for some crazy coolers and churros. Totally tantalized by the creativity behind their offerings like the vibrant blue-colored lemonade Galaxy Rush (Php 65.00 12 oz./Php 85.00 22 oz. ), The Maureo, and their fluffy Chur-O-Nuts (available in Classic Cinnamon and Red Velvet Variants at Php 90.00 per order). Churros about all the good eats at @thefoodhive2.0? Come drop by this weekend. ❤ Double tap if you want to try these Red Velvet Churros from @mozafriomanila for dessert! So yeah, I think I’ll definitely be back in this awesome foodpark soon, with my friends and family in tow. After all, the place is relatively in our neighborhood. Until then, drop by and watch out for our mouthwatering preview of Crazzy Mezzy Pizza soon!